We sure hope you are enjoying meeting some of our Pink Cart partners across the country, as we have certainly loved reconnecting with each and every one of them. This week we bring you David Boon and his family business Boon & Sons in Rochester, New York. David, his brother, and his father run a great family business that picks up trash and recyclables in their local communities and you will see in the video they are deeply committed to making a difference in those communities they serve. 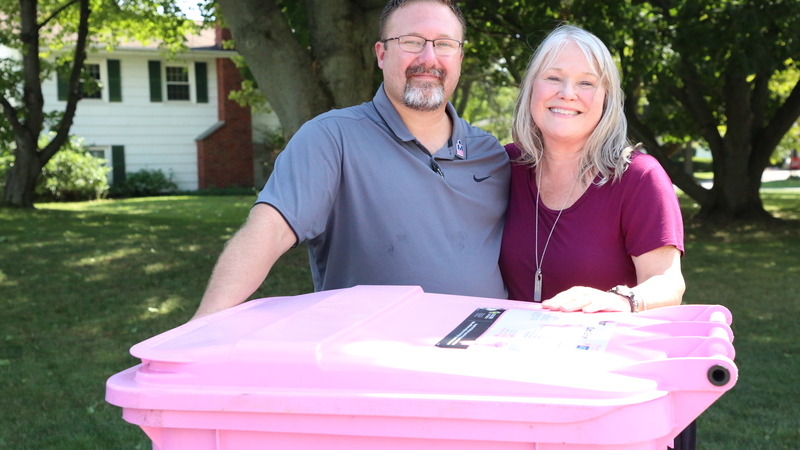 These are really nice people with big hearts, so naturally they were early adopters of our Pink Cart program. Boon & Sons run a program where any resident in their service area can call up and order a Pink Cart, and if they do so they agree to donate $5 to the American Cancer Society. Once they kicked-off locally, it didn’t take long for neighborhoods to start filling up with pink and for additional monies to tally and be donated to ACS. 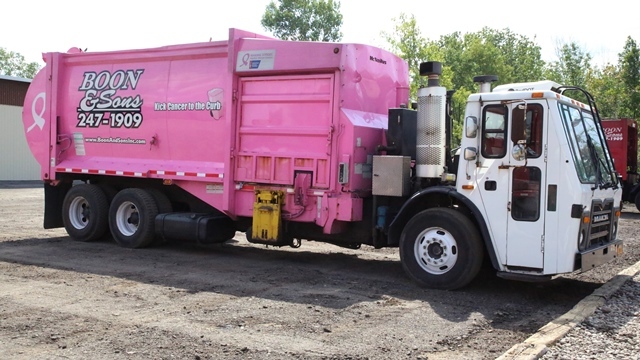 David went as far as painting three of his big garbage trucks pink and they have the breast cancer ribbon on the sides. I have to be honest, it really pulls on my emotions watching our Pink Carts get picked up in Rochester by the pink trucks. It makes such a huge statement and reminds everyone who sees them that the battle to end breast cancer wages on. Recently, David joined the Real Men Wear Pink program and very proudly fundraised $30,000 last year! And this year he has set a big goal of $50,000. We sure hope you make it David, because it’s folks like you that really do make a difference. Enjoy meeting David and remember to come back next Monday to meet Chad Stoub the owner of EverKept Disposal here in Grand Rapids, Michigan. His journey is very personal and the interview is raw, but so beautifully illustrates the pain that exists in the pink community.